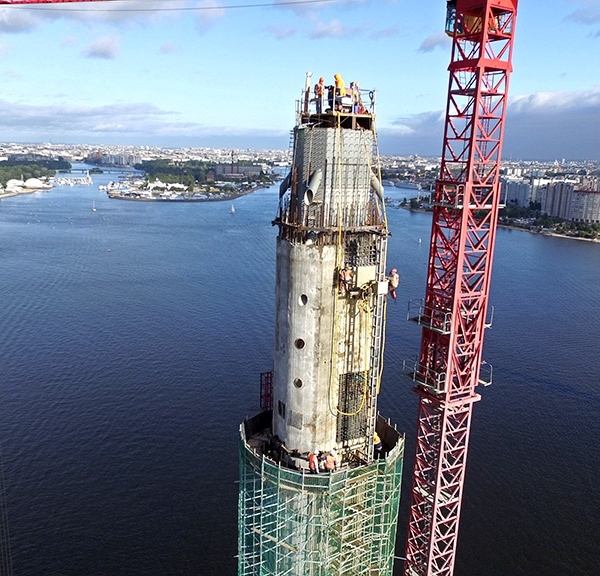 ICA Construction of St Petersburg has used two Aquajet robotic hydrodemolition machines to clear concrete from the top of a 120 m high bridge pylon. 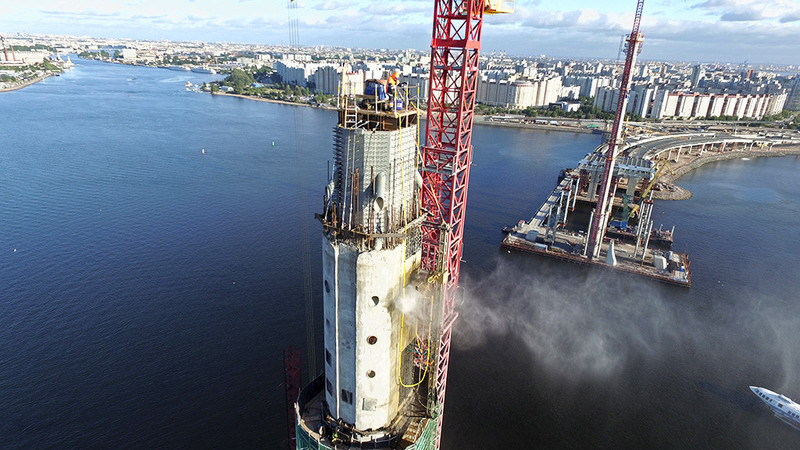 Two Aqua Cutters from Aquajet Systems AB have been used to remove surplus concrete from around the inner steel structure of a pylon for a bridge across the River Neva, part of the Western High-Speed Diameter (WHSD) at St Petersburg in Russia. The WHSD will provide a key link between the Scandinavian Peninsula, Continental Europe, Central Russia, and the Baltic States. 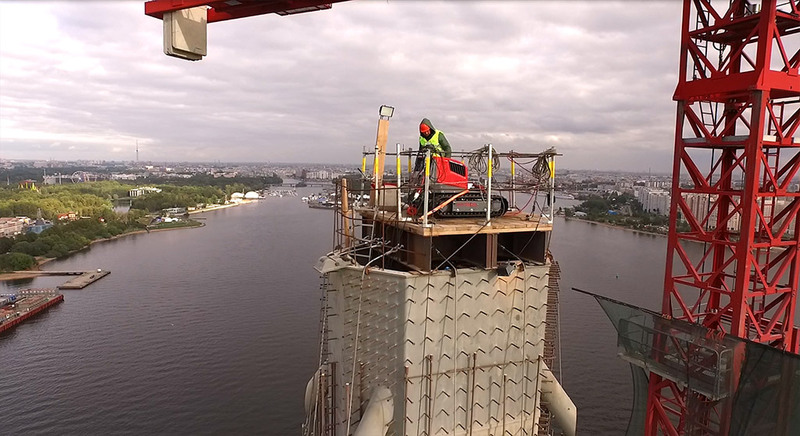 Turkish-Italian construction company ICA Construction is constructing an 11.57 km section of the highway under a US$1.6 billion contract and four-year construction programme that includes three major high-level bridges, together with low-level viaducts and smaller overbridges. 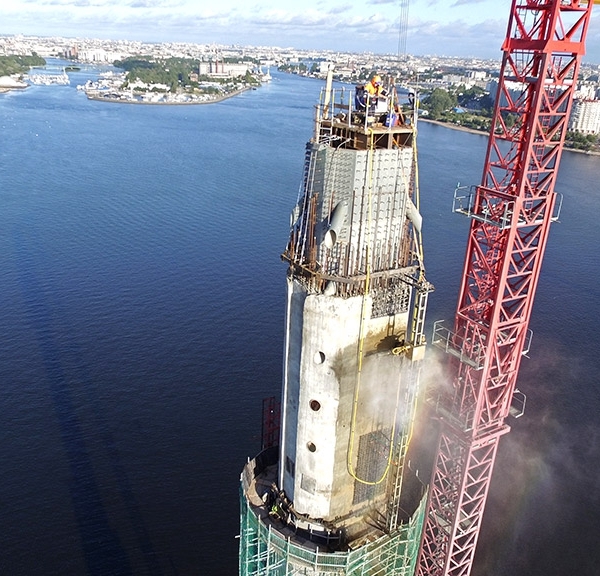 One of the bridges is the Petrovsky Fairway Bridge, a 560 m cable-stayed structure across the River Neva to link two islands, that will shortening the present transportation time from more than one hour on the existing congested roads to between 10 and 15 minutes. 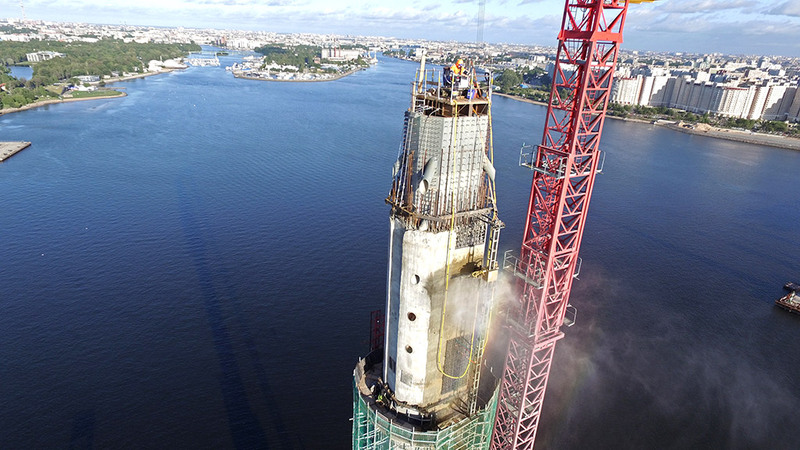 The Petrovsky Fairway Bridge will be a visually impressive structure, with two needle-shaped towers each 120 m high. The deck will be supported by four planes of cables: the cables supporting the deck units closest to the tower will be connected to the top of the tower, with those towards the mid span connected at a lower level. 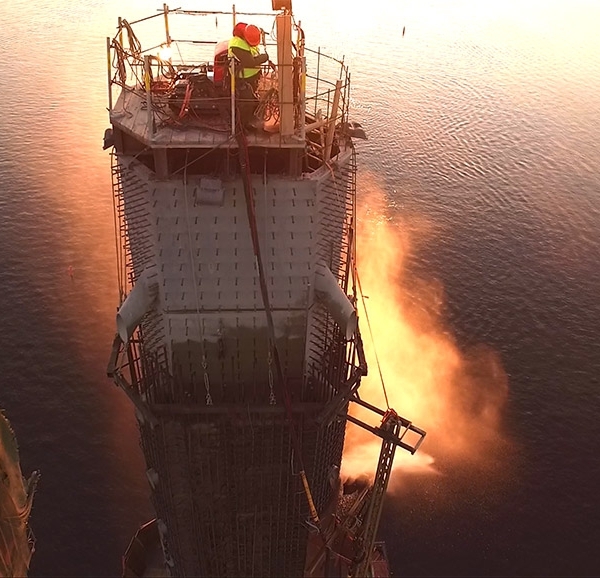 The length of the central span is 240 m, and the bridge under-clearance is 25 m.
On the northern pier ICA has used two Aquajet hydrodemolition robots to cut away surplus concrete from near the top of the pylon. 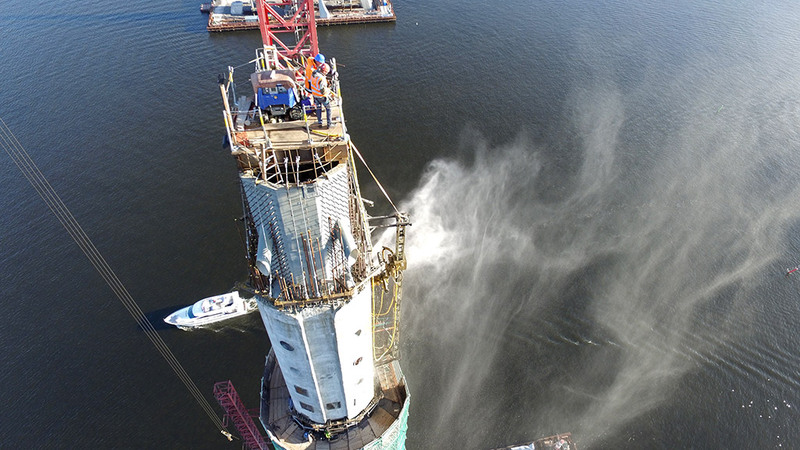 The robot machines were rented by Termite Ltd, a hydrodemolition specialist that is a sister company to DUS, distributor for Sweden’s Aquajet Systems AB in Russia. 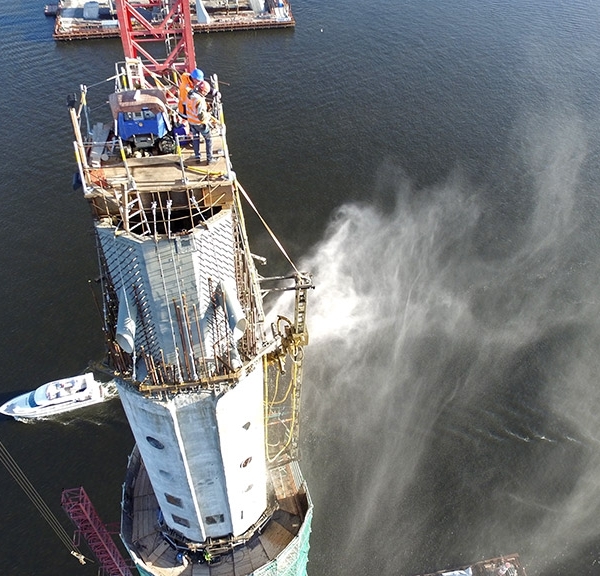 Max Petrov, Development Director for DUS, said that DUS was first established in St Petersburg in 2003, and began the successful marketing of Aquajet’s Aqua Cutters in Russia about two years ago. 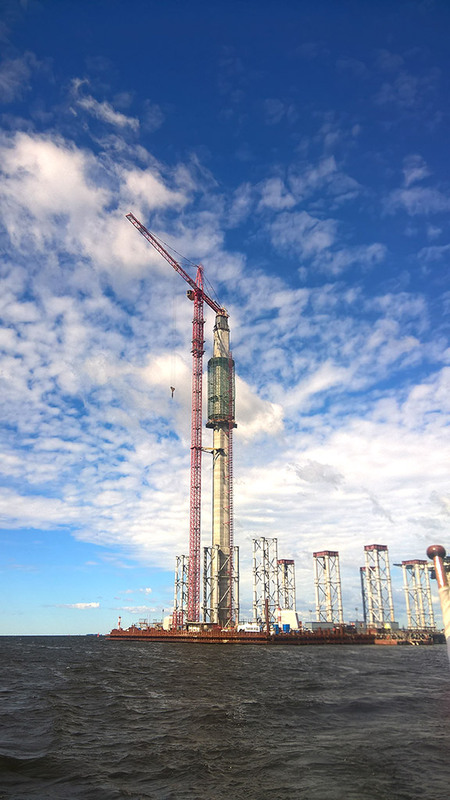 “For this project we used the Aqua Spine from Aquajet which is the most effective and flexible equipment you can find in the market for this type of job. “It is easy to build the system in the size needed by using the multimodular Aqua Spine. The spine is made to handle the reaction force from a 700hp pump with 262L/min. 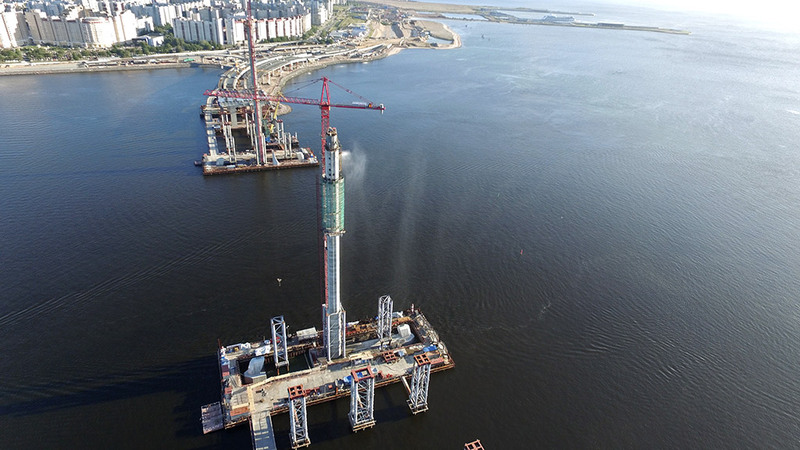 “The height of the area to be removed was 10m so we assembled the Aqua Spine in the same length. 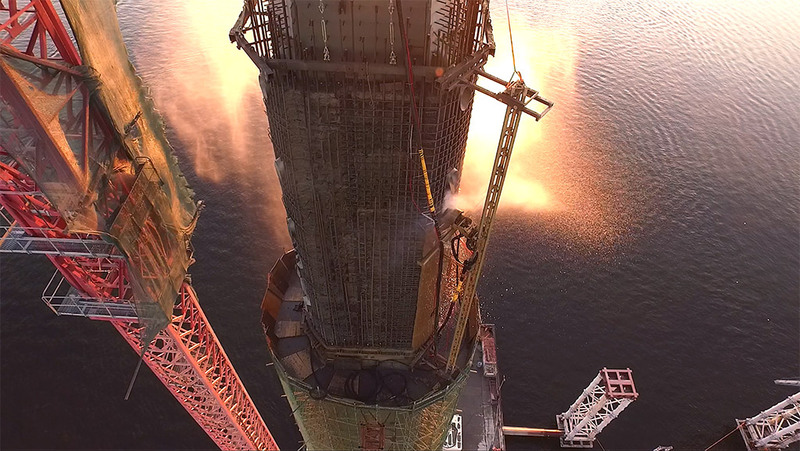 We assembled the complete system on the ground which reduced the set up time,” confirmed Max Petrov. 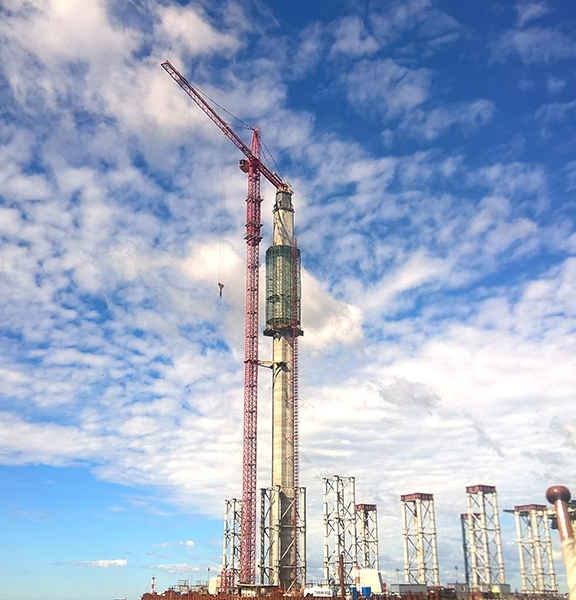 The 10m high Aqua Spine mast was lifted in place and bolted onto each side of the pylon. An Aqua Cutter 410A was used as the Power Control Unit to control the Aqua spine. 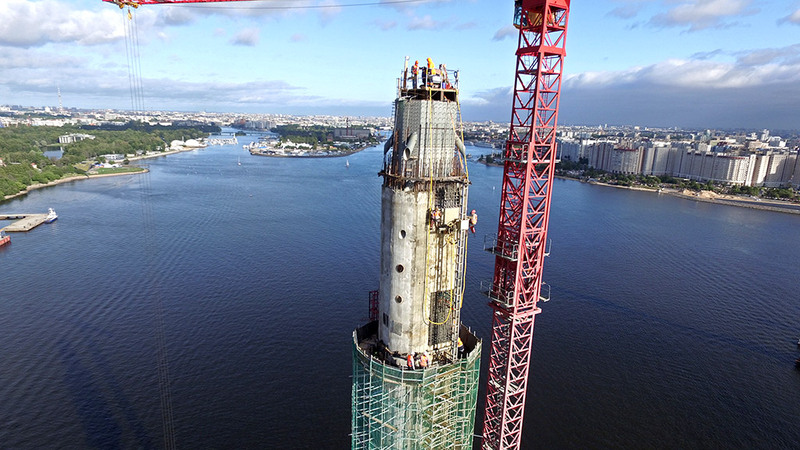 “ICA wanted to remove the concrete without causing any damage to the inner steel structure, and needed to save the vertical rebar to spend less time on recasting,” says Mr Petrov. Termite Ltd provided the two Aqua Cutters to ICA, together with operators and service backup, on a rental basis. 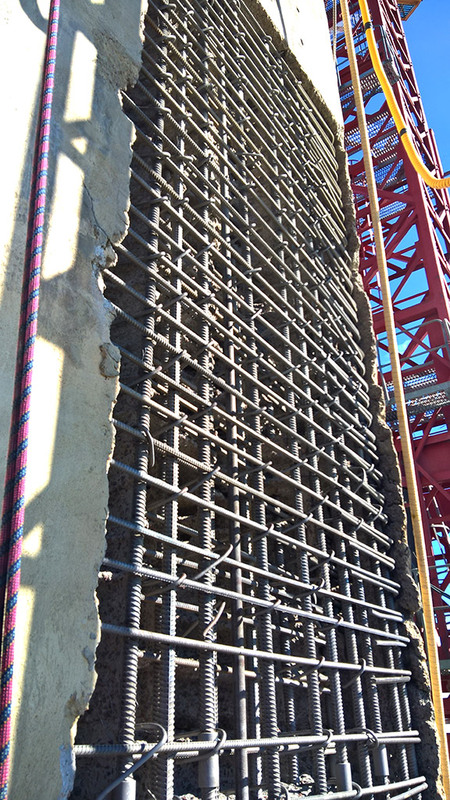 “The ‘trouble’ concrete was at a height of 84.5 m to 94.5 m, and the full thickness that had to be removed was about 77 m³,” says Mr Petrov. 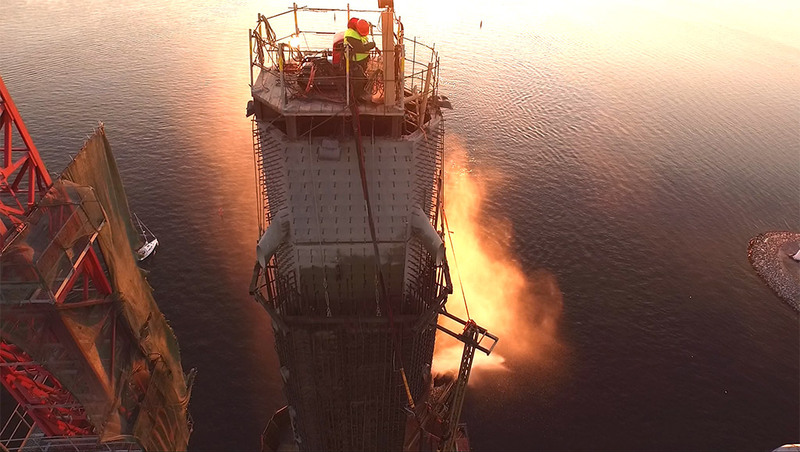 “We placed the power pack at the bottom of the pylon and used a 120 m long high-pressure hose to access the working area.